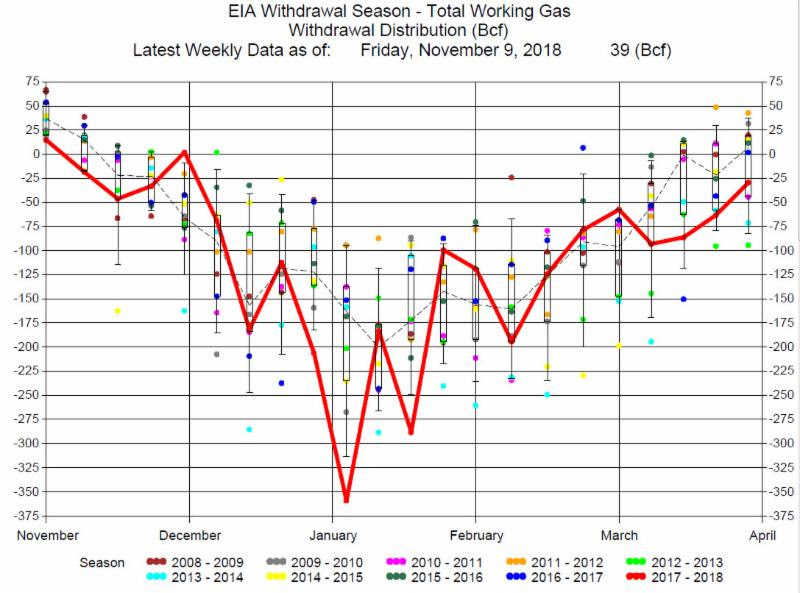 The EIA reported a 39 Bcf Injection for the week ending November 9, 2018. 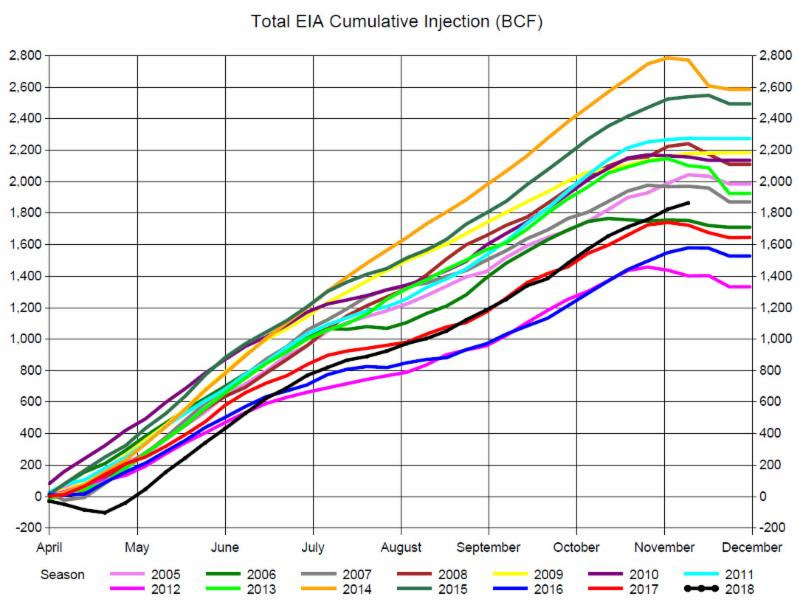 The injection was greater than the average, 23 Bcf, for this week of the year, and basically at the average of expectations of a 41 Bcf injection. 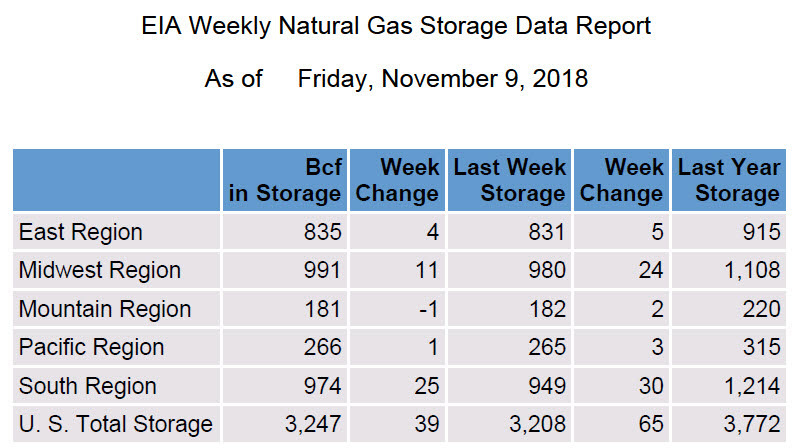 From the start of Thursday trading natural gas prices were significantly falling. The release of EIAreport had no real effect on the price decline. By the end of the trading day prices were down over 82 cents. We would need to go back to the early 2000’s to see such price moves. In the last two weeks prices climbed nearly $1.70 so it is understandable that profit taking or closing high priced long positions were pressuring prices down. We would not be surprised if similar up or down price moves occur again. 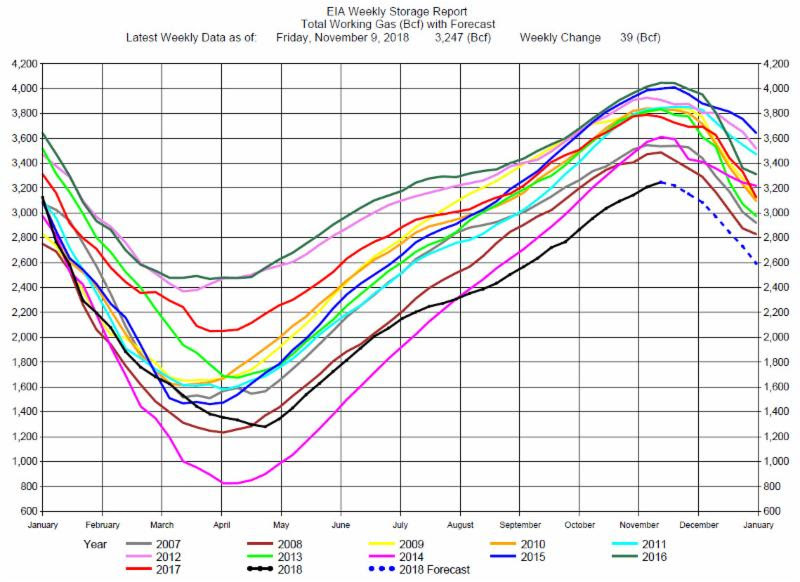 As we have mentioned before this is the lowest storage to begin the winter heating season in the last 12 years. Volatile prices are usually associated with low inventories. Consequently, for the short term we recommend consideration of being on the sidelines.